Dainhen Butler spent 10 years in one of the toughest, most violent prisons in the nation, but after that time he wasn't defeated, he overcame the obstacles stacked against him to emerge as a conscious Entrepreneur and Philanthropist. He talks to at-risk youth and makes people aware of recidivism; (the tendency for prisoners to return to the system) and promotes prevention of it by being a resource in the community and hosting a support group. Dainhen's story tells about more than overcoming, or even conquering. It's also about purpose and endurance. Sometimes you have to aim for things that seem out of your reach, It's only then when you realize you're never boxed in. There are no limits to what you can do with faith, and purpose in God. From Nothing To Something Productions whose mission is to introduce youth to reformed prisoners, and professionals who have excelled in today's society, hosts screenings of the film for non-profits, colleges, churches, universities and abroad. BOLD Journal was able to facilitate a Q & A at a recent screening, and feature Dainhen's story on the site. If Dainhen can overcome and empower others through the storm, you can too! So on to the part you've been waiting for... THE GIVEAWAY!!! 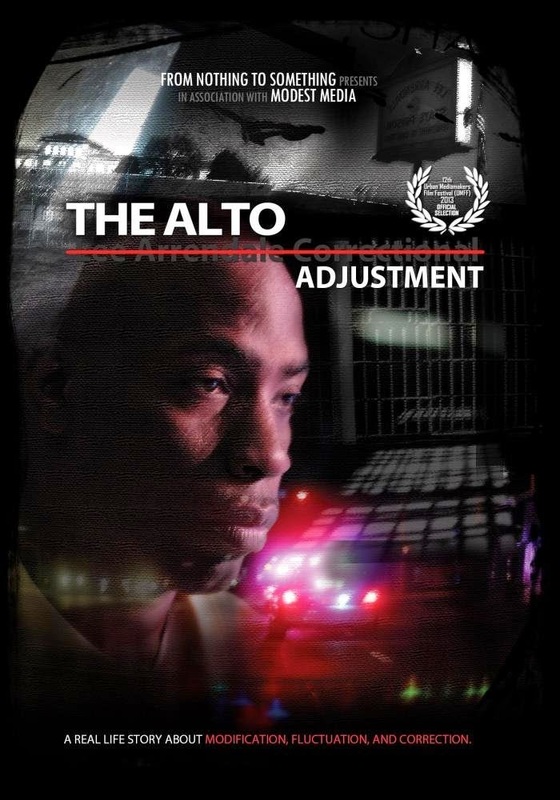 You can enter for a chance to WIN your own copy of the Alto Adjustment DVD in Breath Of Life Daily's free giveaway! There are many ways to win. to enter simply leave a comment on this blog post. *psst. Free bonus points are on our Facebook page here. The Winner will be announced on December 24th. God speed! The Contest has officially begun. I would love to check this out!!!!! Powerful testimony. .I would love to have a copy. .. When I saw the following videos, I knew that something special was going on. I spend a lot of time scouring the net, for signs that we are ready to use the mediums that are coming available but I don't usually find anything that gets me worked up. The young Brothers at FN2S have it going on. They are presenting quality productions (content wise) without the need for a Hollywood Studio. I don't doubt that some day the opportunity will present itself. I only hope that when it comes it won't come as an an attempt to tone them down. In the mean time we need to do all we can to see that their efforts are distributed as far and wide as we can get them.